It’s all about the right camera pout! 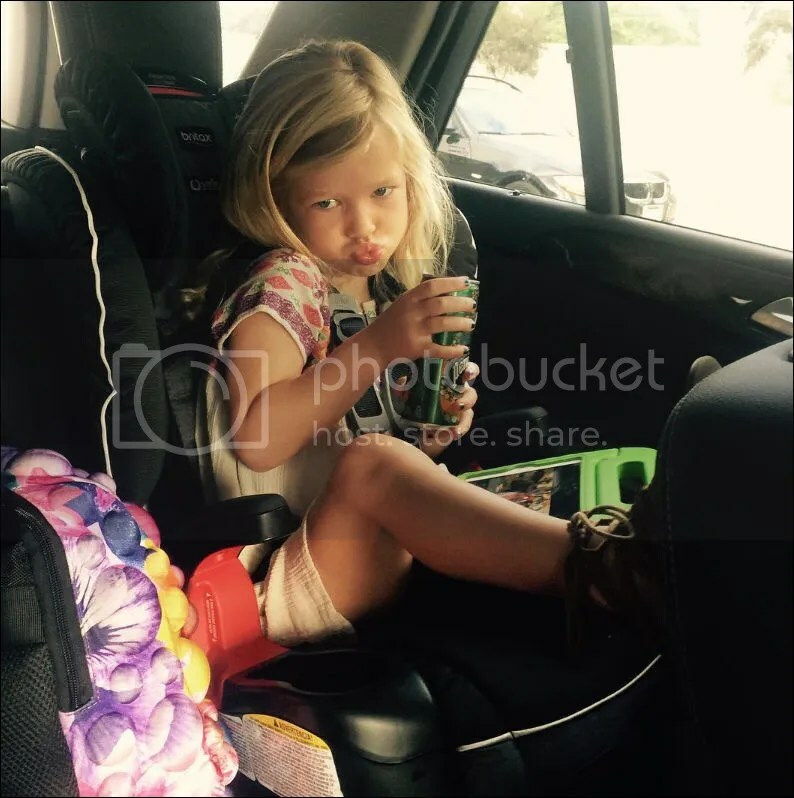 Jessica Simpson shared a photo of daughter Maxwell Drew, 3, on her first day of Pre-Kindergarten on Tuesday, November 3rd. She and husband Eric Johnson are also parents to son Ace Knute, 2. Samia Ghadie and Sylvain LongChambon Introduce Son Yves Joseph In OK! 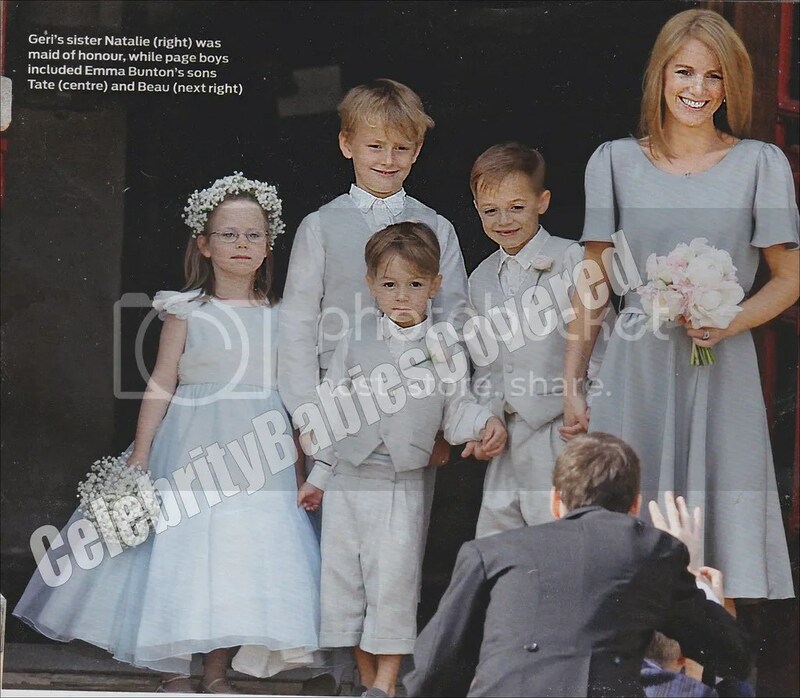 Spice Girl Emma Bunton‘s two sons Beau Lee, 7, and Tate Lee, 4, had the duty of being page boys at the wedding of Geri Halliwell and Christian Horner on Friday, May 15th. Photo credit: Ok! Magazine, Issue: 982, Date: May 26th 2015. 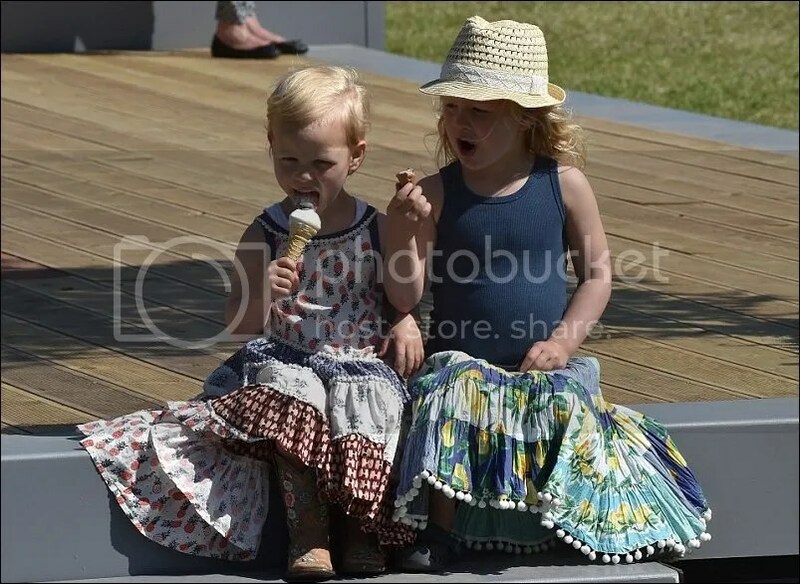 Savannah Anne Kathleen, 4, and Isla Elizabeth, 3, daughters of Peter and Autumn Phillips — enjoyed an ice cream when they attended the Royal Windsor Horse Show at Windsor Castle with their parents on Saturday, May 16th. 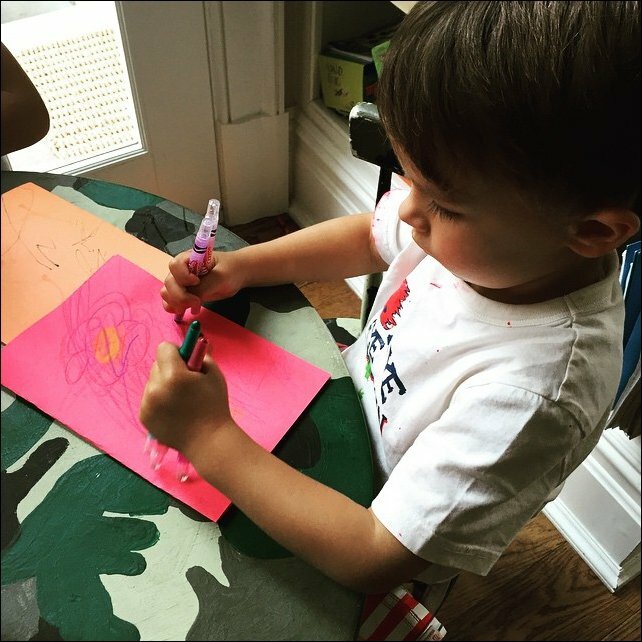 With Americans celebrating Mother’s day on Sunday, May 10th, little Tucker McFadden Wilkerson, 2, was photographed in the process of making Mum Melissa Joan Hart his very own home made card. She is also mum to sons Mason Walter, 9, and Braydon “Brady” Hart, 7. 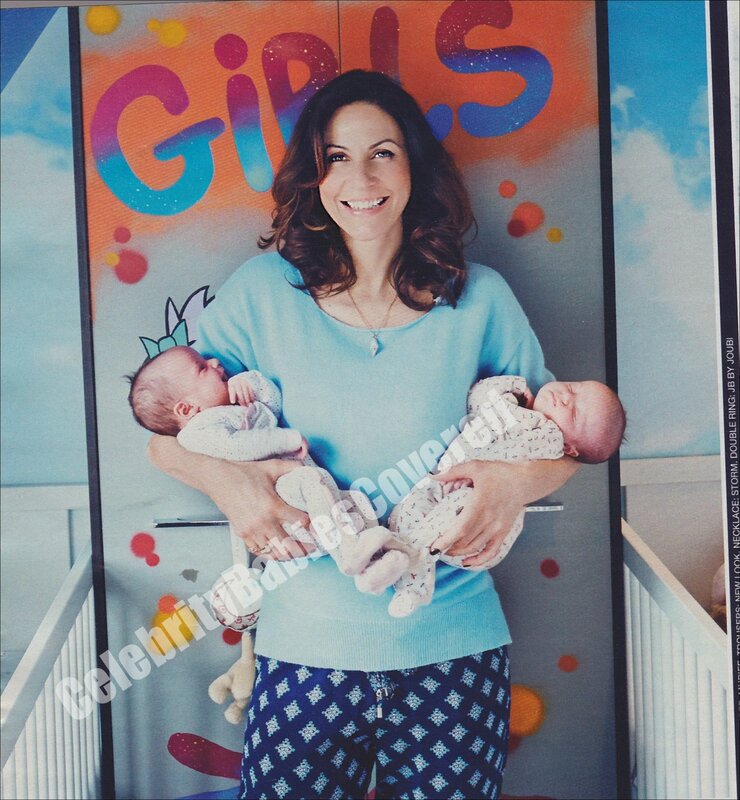 Julia Bradbury Introduces Twin Daughters Xanthe and Zena In Hello! TV presenter Julia Bradbury appears in a recent issue of Hello! Magazine and introduces her non identical twin daughters Xanthe and Zena who were born naturally at 37 weeks — and both over a healthy –6lbs — at Queen Charlotte’s and Chelsea Hospital in London on Thursday, March 12th 2015. Inside the 44-year-old talks about their birth, picking names and what big brother Zephyrus “Zephyr“ thinks of his little sisters. Coronation Street actress Tina O’Brien shared this adorable photo of her children Scarlett Jaqueline, 6, and Beau Lee Stephen, 6 months. 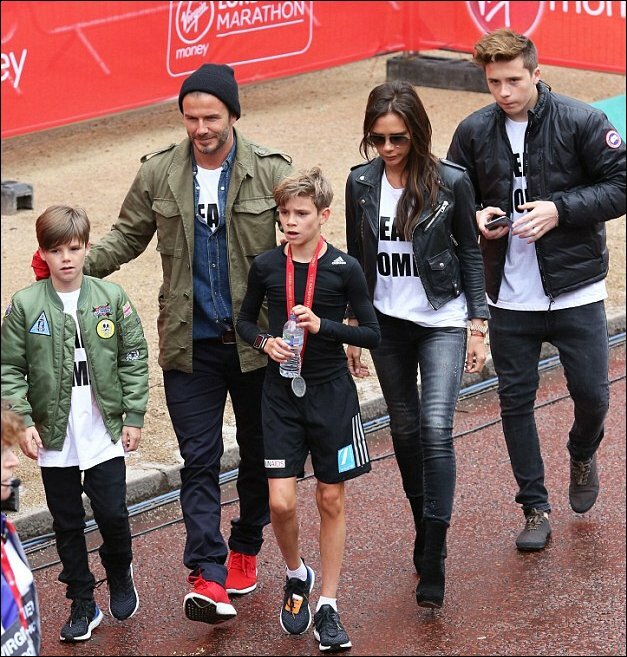 David and Victoria Beckham showed up in full force on Sunday, April 26th 2015 to show their support and congratulate their son Romeo James on finishing the children’s 3 mile race at the London Marathon. The 12 year old was running in aid of the UNAIDS and the Unicef 7 fund. Brothers Brooklyn Joseph, 16, and Cruz David, 10, were also in attendance to show their support. It seems Romeo is quite the little sportsman too. He’s recently been accepted in to Arsenal’s football academy and is a an “exceptionally” talented tennis player. He recently attended a 10 day tennis camp and had plenty of praise from coach John Johnson. “I’m not sure his parents realise how good he is. He has a lot of talent and very good hand-eye coordination. I’m going to have a meeting with his mother about it to reinforce that. Actors Johnny Depp and Vanessa Paradis‘ daughter Lily-Rose Melody makes her modelling debut in the latest issue of Oyster Magazine. The 15-year-old, who strikes a remarkable resemblance to both her parents can also soon be seen acting alongside her dad in the yet to be released Yoga Hosers. To see more of Lilly-Rose modelling pick up a copy of Oyster Magazine now. Spice girl Mel B and husband Stephen Belafonte introduced their beautiful baby daughter Madison, who was born on September 1st, weighing 6lbs 2oz, in a recent issue of Hello! Magazine. Inside the pair talked about Madison’s hysterically funny birth, choosing her name, what life is like as a family of 6 – which also includes Mel’s two daughters Phoenix Chi, 12, Angel Iris, 4, and Stephen’s daughter Giselle, 7, from a previous relationship, and more. Actor John Travolta and wife Kelly Preston introduce their gorgeous 7 week-old baby boy Benjamin Hunter Kaleo in the latest addition of Hello! Magazine along with their 10 year old daughter Ella Bleu — who is as smitten as her parents with her new baby brother. The newest addition to the Travolta family was born on November 23rd by Caesarean section in Florida and weighed 8lbs 3oz. In memory of their eldest son Jett — who sadly passed away at the age of 16 in 2009 — the Travolta family have set up the Jett Travolta Foundation which reasearches ways to help children with autism and seizures — all proceeds recieved from giving this interview and sharing these gorgeous photos will be going to the foundation. Model Heidi Klum‘s children Leni, 6, Henry Gunther,5, Johan Riley, 4, and Lou Sulola, 13 months were spotted out shopping at the Grove with their grandmother Erna Klum on Sunday, November 28th. Bec and Lleyton Hewitt Introduce Daughter Ava Sydney In OK! Lleyton and Bec Hewitt were the cover stars of OK! Australia recently and introduced their gorgeous new baby daughter Ava Sydney — who was born five weeks early on October 19th 2010, weighing 5lbs 7oz. Together with children Mia Rebecca, 5, next week, and Cruz Lleyton, 2 next month, they talked about being a family of five, picking Ava’s name, her premature birth and more. 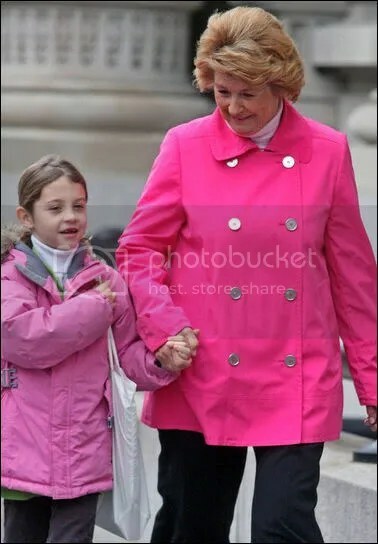 Catherine Zeta-Jones‘ mum Patricia was spotted taking granddaughter Carys Zeta, 7, to school on Thursday, November 11th. Catherine and husband Michael Douglas also have son Dylan Michael, 10. 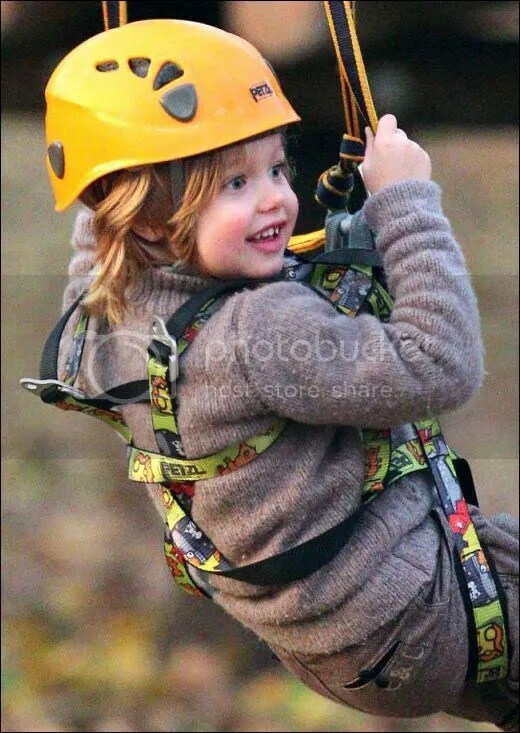 Little Shiloh Nouvel, 4, beams with excitement as she slides down a zip wire during a day out in Budapest on Friday, November 5th, with mum Angelina Jolie, dad Brad Pitt, brother Pax Thien, who turns 7 at the end of the month and sister Zahara Marley, 5. 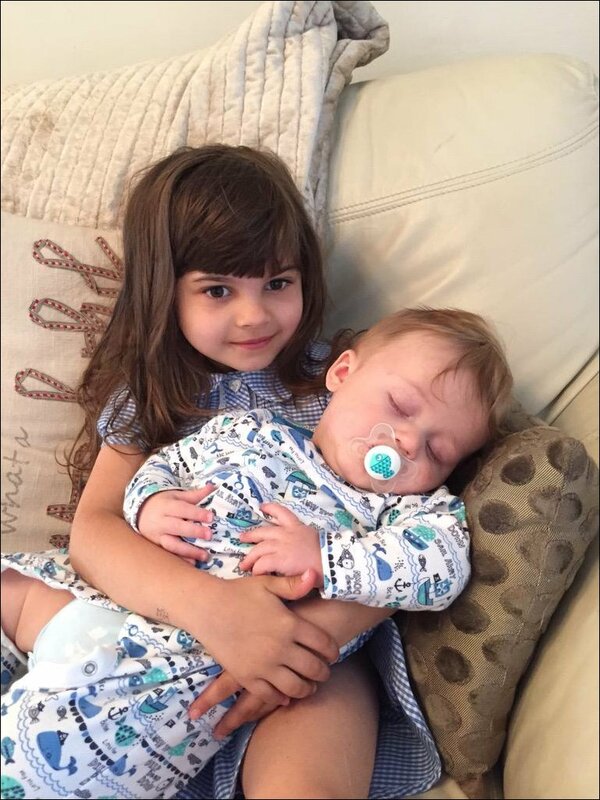 Older brother Maddox Chivan, 9, and twins Vivienne Marcheline and Knox Leon, 2, were not present. TV presenter Kirsty Gallagher recently appeared in an issue of Hello! magazine and introduced her second son Jude Sidney Sampson — who was born on January 19th — was only 2 weeks old when the photo shoot took place. 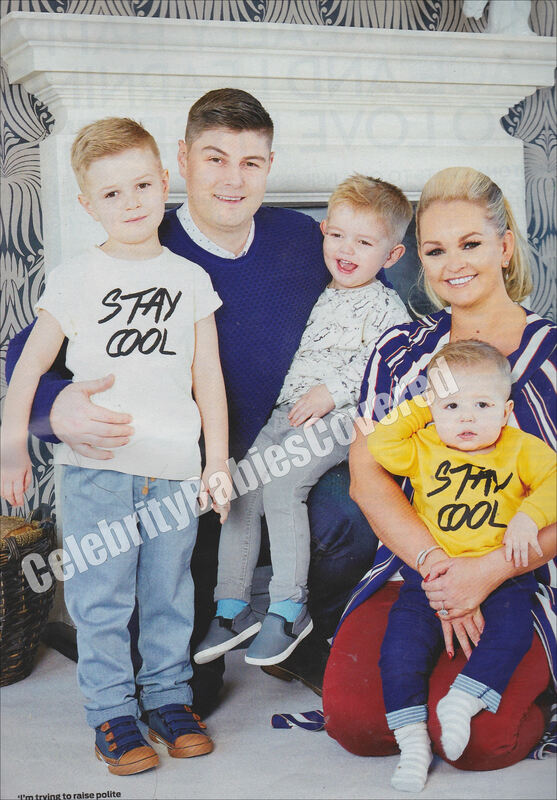 Together with her fiance Paul and big brother Oscar, 3, she talks openly about her difficult pregnancy and what life is like now they’re a family of four. Spice Girl Melanie “Mel B” Brown and husband Stephen Belafonte appear in this week’s edition of Hello! magazine with daughters Phoenix Chi, 10, and Angel Iris, 2. . Together they talk about what their first Christmas was like in their new home, life as a family of five (which includes Stephen’s daughter Giselle, 5) and wanting more babies! 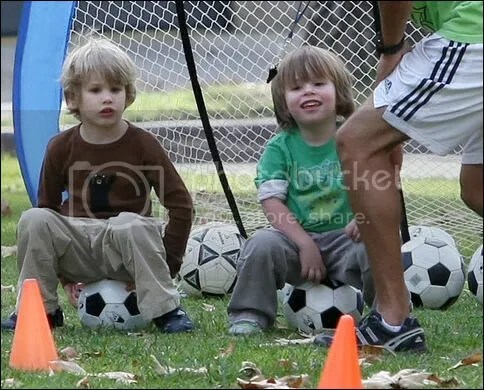 Two of actress Sharon Stone‘s children — Laird Vonne Stone, 4 and Quinn Kelly, 3, were seen enjoying a game of football at Coldwater Park in Beverly Hills on Monday, January 4th. Sharon is also mum to son Roan Joseph, 9. Katie “Jordan” Price features in OK! magazine with children Harvey Daniel, 7, Junior Savva, 4, and Princess Tiaamii Crystal Esther — who during the shoot loved strutting around in mum’s blue stilettos. Model Katie talked openly about if she plans on having more children, why ex-husband Peter Andre‘s family will never see Harvey again, and how Junior is doing at school.